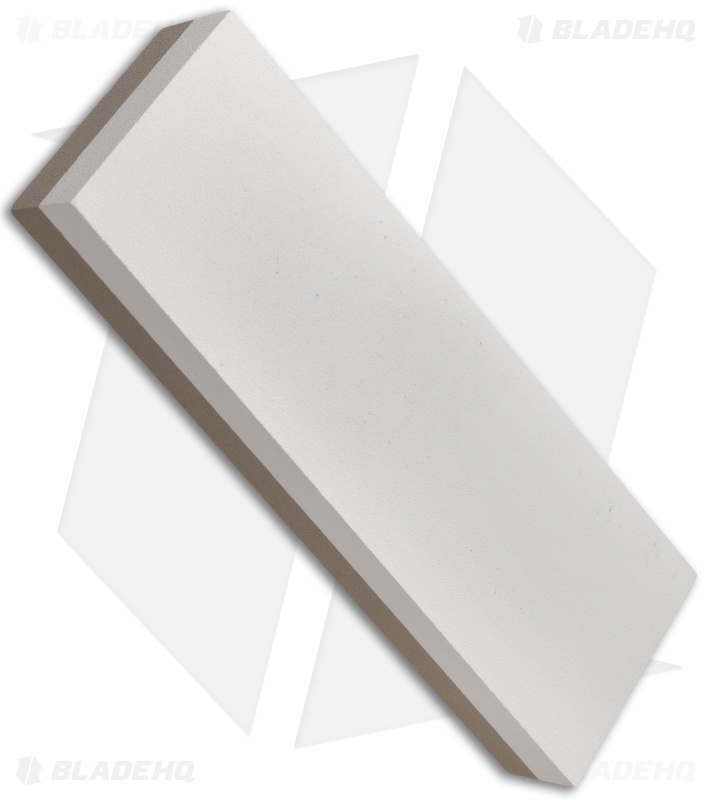 Weighing in at over a pound and a half, and measuring 3" x 8", this large beige and tan sharpening stone is sure to give you the edge you're looking for. The double sided stone features 1000 grit on one side and 4000 grit on the other. The Norton Waterstone uses only water as a lubricant, so no messy oils or pastes. The stone comes in a blue storage box to protect it, and includes a complete set of instructions on using it for sharpening and polishing. I had an opportunity to use this stone a few days after receiving it. I sprinkled a little water on it and proceeded to touch up a couple knives. One must be very careful to sharpen correctly on this stone as it is soft enough to receive considerable damage. I had no idea Norton was into this type of stone and am glad they are. I have a number of Nortons in different grades and shapes; but this stone is comparable to some Japanese stones. I also have Japanese stones. This Norton is very nice; and I highly recommend it to anyone who knows how to use it.